By default, Veeam Backup & Replication restores a machine with its original name. However, you can define a new name for the restored machine if necessary. In the Resource group list, select the machine and click Name. By default, Veeam Backup & Replication creates a new resource group for the restored machine and places the machine to it. If necessary, you can place the machine to an existing resource group. In the Resource group list, select the machine and click Group. 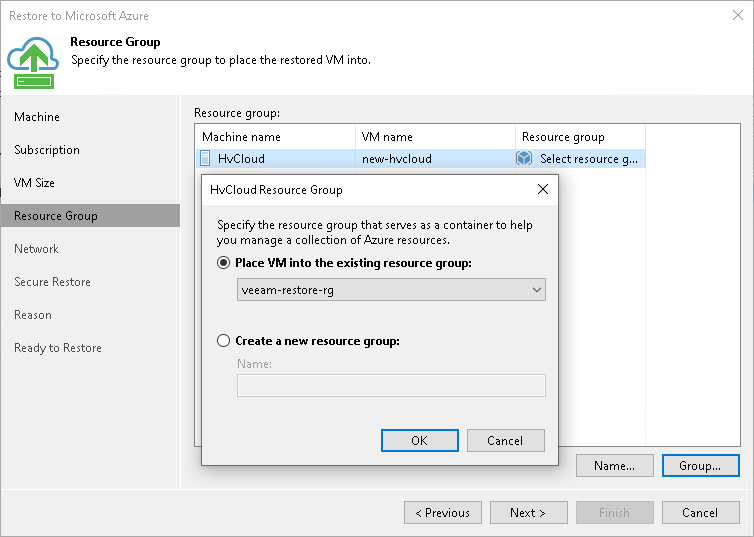 Select Place VM into the existing resource group if you want to place the machine to an existing resource group. From the list below, select the necessary resource group. Select Create a new resource group if you want to create a dedicated resource group for the restored machine. In the Name field, enter a name for the new resource group. 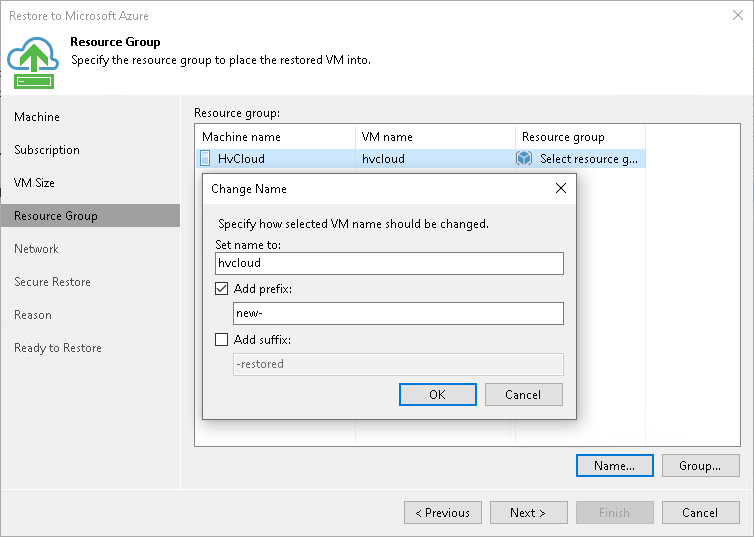 In the new resource group, Veeam Backup & Replication automatically creates a Network Security Group, a dynamic public IP and network interface.